Leslie Archer is the nom de plume of a New York Times bestselling author of more than twenty-five novels. 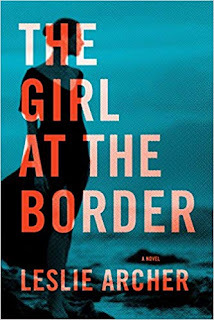 His new novel is The Girl at the Border. I just finished reading a rather shocking novel, Out. Like all of Natsuo Kirino’s books, this one is about the role of women in modern-day Japan, a commentary on the hardships and depredations Japanese society heaps on them, and how powerless they find their lives. Everything about the novel is fascinating. I love her writing, and, luckily, she is translated quite well. A group of women- all with their own varied difficulties – are trying to make ends meet by working nights in a factory line that assembles pre-made packaged lunches. 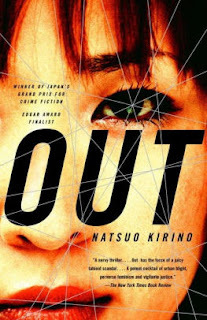 Taken simply on the level of learning about another culture so foreign to Americans is fascinating, but when one of the group strangles her abusive husband the four’s lives spiral down into the darkest depths of the Japanese societal underbelly. While this novel is not for the faint of heart – and it truly may disgust some readers – it is nevertheless an unflinching portrait of the desperation of these women’s lives as they strive for survival in a hostile male-dominated world. Natsuo Kirina is the author of a number of novels. I’ve read all that have been translated into English. I find all of them as rewarding as they are astonishing. All of them deal with women finding a certain power in the darkest part of their souls, and how they deal with it. 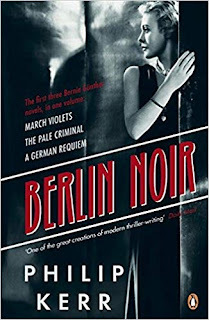 I have been a huge fan of Philip Kerr’s Bernie Gunther, starting in 1994 with the Berlin Noir trilogy. It’s no small feat to make a German police officer/detective/SS member in the 1930s and 1940s relatable. Philip did this and more with Bernie – he made him likable, an everyman walking the tightrope of the laws and strictures Nazism laid down. How he made Bernie lovable is still beyond me: a feat of pure writing legerdemain. I knew Philip, spent some time with him, got to know him. So it was all the worse when I heard that he had passed this past March at the age of 62. Much too young. I’m still not over the loss, but I recommend almost all 13 (soon to be 14) Bernie Gunther novels. The one or two that take place in the 1950s are interesting but not among his best. Bernie belongs – always will belong – to the ‘30s-‘40s. RIP, my friend. 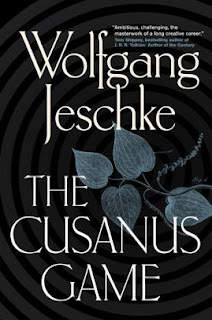 The third book I’d like to bring to your attention is The Cusanus Game by Wolfgang Jeschke. This novel of speculative fiction had the same intense effect on me that Frank Herbert’s Dune had when I first read it. Which is to say, it blew my mind. To tell you anything about the plot would be to spoil the fun, but I will say, much to my surprise, Jeschke tackles time travel, which, in my opinion, is best left alone, considering all the ramifications. Not only does the mechanism work here, Jeschke also gives a mathematical explanation that actually make sense. The result: Mind. Blown. The Page 69 Test: The Girl at the Border. 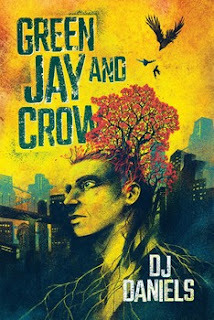 DJ Daniels is an Australian author. Her novel, Green Jay and Crow, has recently been released in the US by Abaddon / Simon & Schuster. Her short stories have appeared in publications such as Aurealis, Andromeda Spaceways Magazine, and So It Goes. She is a judge for the 2018 Aurealis Awards and is one of the Sydney Story Factory’s Ambassadors of Ink. At the moment I’m reading Wolfgang Jeschke’s The Cusanus Game which depicts a contaminated future in which human DNA is mutating. Jeschke is not an author I’ve ever read before, but the book was a library find which I borrowed in a bite-the-bullet spirit – the book’s themes looked very similar to my current work. So far, so good; they’re nothing alike. And Jeschke is a great author to have found. 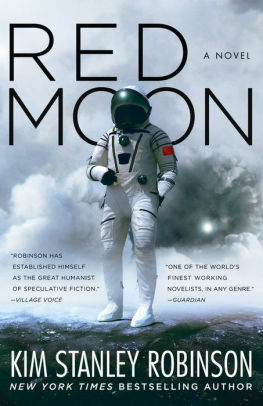 Most recently I’ve read Kim Stanley Robinson’s Red Moon, an examination of a relatively near future in which the moon has been substantially colonised. I always enjoy Robinson’s work, his eco consciousness, his thoughtful push towards if not utopia, then towards something better. He mixes the technical with the human in an interesting way. An ageing philosopher/poet/cloud star, a pregnant activist, and emerging AI. Very enjoyable. 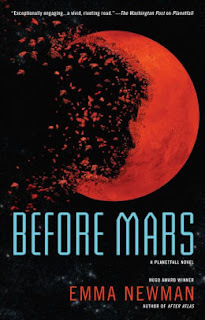 Emma Newman’s Before Mars, the third in her Planetfall series was another recent read. I admit I have skipped from one to three, I need to return to After Atlas. Newman I love for her ability to delve into the mind and its labyrinths. Her protagonists are very believably human. In this case, I appreciated her truthfulness about the complexities and regrets of motherhood. 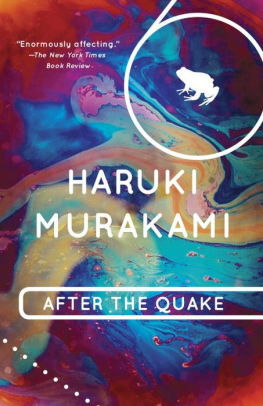 I’ve also read some short fiction by Haruki Murakami: After the Quake. This compilation is a response to the Kobe earthquake. Haunting, imaginative and surreal as always. And finally, a different kind of reading. I’ve been perusing anthologies and collections as a judge for the Aurealis Awards – Australian awards for speculative fiction. A wide range of work from names that are new to me as well as established authors. There’s some wonderful, powerful stuff in the mix. 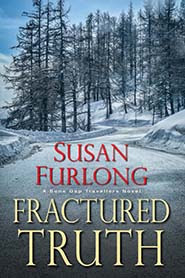 Her new suspense novel is Fractured Truth, the second book in the Bone Gap Travellers series. One of my favorite things to do is spend time in the mystery section of my local bookstore. I pull a dozen or so books from the shelf and read the first two to three pages to see which opening scene captures my attention. Recently, I pulled A.J. Finn’s The Woman in the Window and … wow! His writing captivated me from the first sentence and the unique voice of his character kept me reading. The story was fast-paced with an excellent twist at the end. 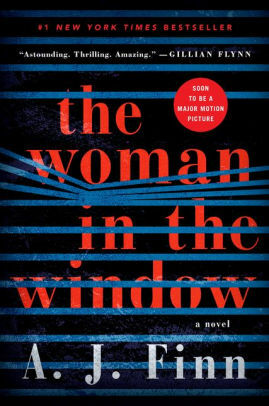 The Woman in the Window was more than a good story, it was a lesson in writing. 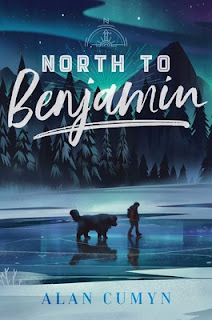 Finn writes in what I call the stream of consciousness writing style, which allows the reader insight into protagonist’s thoughts without the interruption of narrative description. I try to use this technique in my own writing, but Finn does it so well. So for me, his book was not only enjoyable, but beneficial to my growth as a writer. Since my protagonist is a former Marine MP turned civilian cop and suffers from PTS, for research purposes, I’m reading Outside the Wire: The War in Afghanistan in the Words of Its Participants, by Kevin Patterson and Jane Warren. 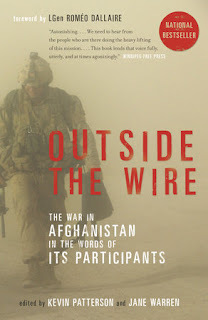 Visceral, and difficult to read at times, this book gives an intimate view of war—battle stories as well as non-combat struggles—through the varied voices of soldiers and other personnel who served on the ground in Afghanistan. I highly recommend this book for anyone who wants a better understanding of war-time service. And I always, always have a copy of either Alfred Hitchcock or Ellery Queen Mystery magazines on hand for those times I can fit in a quick short story. This week, I read an excellent story in AHMM: "A Bad Day for Algebra Tests," by Robert Lopresti. I’ve written both short stories and novels, and to me, the succinctness of the short story form makes it more difficult to fully develop character. 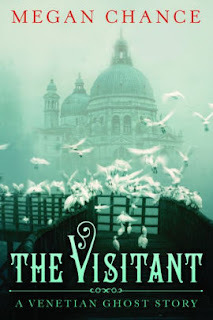 Lopresti, however, has a knack for bringing out his characters’ personalities with just a few well-chosen words. This story features Officer Kite, who is so well portrayed that it seems I know him personally. In addition to mysteries, I read spiritual books. 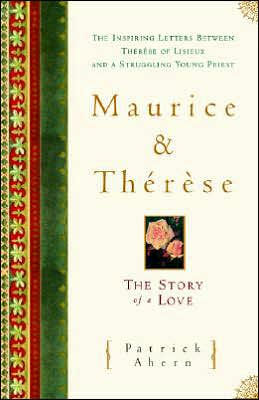 I’m currently reading Maurice and Therese: The Story of Love, by Patrick Ahern. Recommended by a friend, this book presents a collection of letters written between St. Therese, a dying, cloistered nun, and struggling seminarian, Maurice Belliere. Along with the letters, Ahern provides analysis and commentary for readers who want to learn more about St. Therese’s spiritual life. Although they never met in person, the correspondence between Therese and Maurice encapsulates a powerful love story that testifies to their spiritual bond and the depth of their faith. There are so many take-aways from this obviously Catholic book, but I’d recommend it to anyone, Christian or non-Christian. There’s a lot to gain from reading about these two young people who had the courage to pursue their callings, despite many adversities. I’ve recently discovered the writing of Megan Chance. Chance’s latest books are works of historical fiction with elements of the paranormal. Normally I’m not a fan of the paranormal in novels, but Chance’s writing is so strong I’m immediately pulled in as soon as I start reading. My first Chance novel was A Drop of Ink, which features awesome historical atmosphere and tells a tale of misguided love. I’ve also read The Visitant, a novel I’ve recommended to anyone who likes a good ghost story. The story isn’t scary, just intriguing, and the threads of a love story are there, too. My next Chance read will be Bone River. Jane Tesh is a retired media specialist and pianist for the Andy Griffith Playhouse in Mt. Airy, NC, the real Mayberry. She is the author of the Madeline Maclin Series, A Case of Imagination, A Hard Bargain, A Little Learning, A Bad Reputation, and Evil Turns, featuring former beauty queen, Madeline “Mac” Maclin and her con man husband, Jerry Fairweather. Stolen Hearts is the first in the Grace Street Mystery Series, featuring PI David Randall, his psychic friend, Camden, Randall’s love interest, Kary Ingram, and Cam’s career-driven girlfriend, Ellin Belton, as well as an ever-changing assortment of Cam’s tenants. Mixed Signals is the second in the series, followed by Now You See It, Just You Wait, Baby, Take a Bow, and Death by Dragonfly. I always enjoy books with offbeat humor, especially if they contain supernatural elements, so I was pleased to I discover Richard Kadrey’s The Everything Box and its sequel, The Wrong Dead Guy. Coop is a thief who specializes in stealing magical objects mainly because he is immune to magic. When a mysterious client hires him to steal an equally mysterious box, Coop finds himself involved with the quirky Department of Peculiar Sciences, a top secret government force that polices anything out of the ordinary. 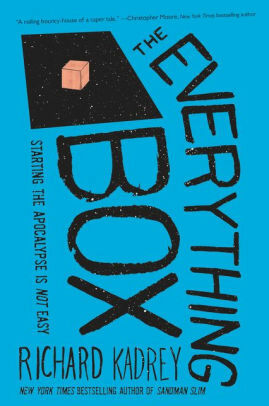 Along with his partners in crime, Giselle, who can make everyone around her invisible, and Morty, whose talent allows him to open any lock just by looking at it, Coop realizes there’s more to this box than anyone will tell him. It may very well be a doomsday device that will end the world. 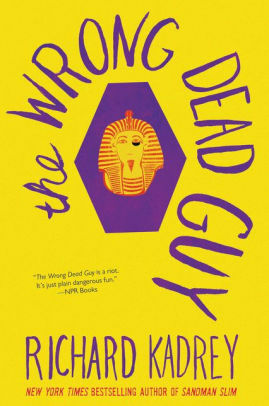 Coop’s adventures continue in The Wrong Dead Guy when he and his friends are assigned to steal the sarcophagus of the Egyptian mummy, Harkhuf, a powerful wizard. Their mission is successful, but the sarcophagus is empty. Harkhuf has come to life and escaped, and unless he’s found, again the world will end. There’s lots more going on in this story, including used car salesmen, fortune tellers, undead museum workers, animal rights activists, and clowns. These books are lively and very inventive with plenty of impossible situations and bantering dialog. I hope Kadrey plans to write many more in this series. One of the best perks about being a children’s librarian is getting to read wonderful fantasy stories. Since the success of Harry Potter, many authors have set their books in magical schools. 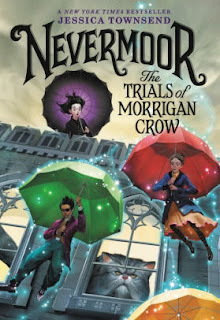 A delightful example is Jessica Townsend’s Nevermoor: The Trials of Morrigan Crow. Morrigan is a young girl who believes she is cursed. Her awful family reminds her of this constantly, and everyone in her dreary town of Jackalfax is afraid of her. So Morrigan isn’t expecting anyone to take her on as an apprentice during Bid Day, the time when all the children are chosen by members of the town for their future occupations. She is amazed when Jupiter North of the Wundrous Society presents a bid. 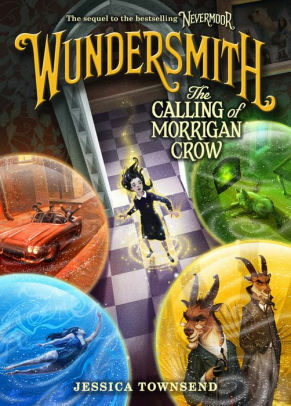 The Wundrous Society is a mysterious and exclusive magical society, and Jupiter North, her new mentor, whisks her away to Nevermoor, the most amazing and wonderful place Morrigan has ever seen. She now has a home in Jupiter’s Hotel Deucalion, new friends, and new problems. For everyone at the Wundrous Society school has a magical talent, and Morrigan has none. Young readers will identify with Morrigan’s struggles to fit in and to find her true self. Older readers, like me, will enjoy the highly imaginative world of Nevermoor, the charming characters, and the fast-paced plot. Morrigan’s adventures continue in Wundersmith: The Calling of Morrigan Crow. Morrigan discovers her talent, and it’s not something she wants. Something evil wants it, however, and will do anything to control her and her new power. Learn more about the book and author at Jane Tesh's website. Coffee with a Canine: Jane Tesh and Winkie. The Page 69 Test: Death by Dragonfly. 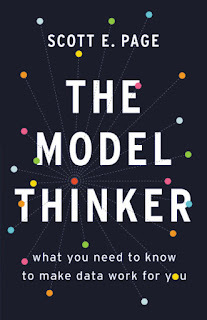 His new book is The Model Thinker: What You Need to Know to Make Data Work for You. I recently finished reading The Lies That Bind: Rethinking Identity by Kwame Anthony Appiah, which I cannot recommend enough. 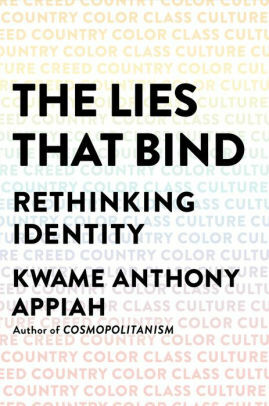 Appiah decomposes identity through six (partially overlapping) categories: classifications, creed, country, color, class, and culture. I found his description of Bourdieu’s concept of habitus as ways that we respond to the natural world. Each of us sees our own way as natural and those of others as unnatural. How we walk, greet, engage. What we wear and eat as well as how we wear clothes and how we eat. These are all habitus. Appiah does such a wonderful job of sharing his erudition, wisdom, and cosmopolitanism without coming across as pompous. Instead, he embodies an enlightened tolerance that we might all emulate. 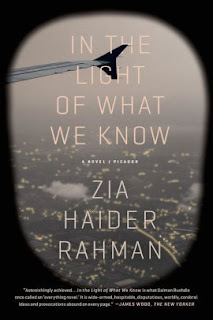 The book is approachable to anyone and a fabulous companion read with the novel In Light of What We Know by Zia Haider Rahman, which also focuses on culture, class, and habitus in conflict. Rahman’s story centers on a dialogue between two reunited former mathematics students — one from a wealthy, socially connected family and one from a poor family. Both English. One born in Bangladesh, one of Pakistani descent. 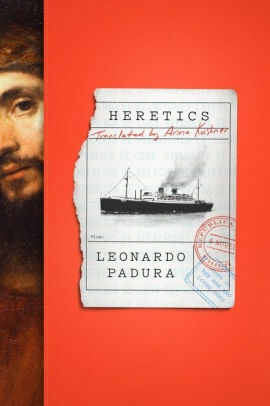 The book drips with ideas and insights—such as characterizing trust as agreement with expectations—and engages, rather than merely tossing in, hundreds of literary references ranging from Eliot to Melville. All the while, Rahman masterfully crisscrosses broad themes of Empire, love, friendship, and class through the lenses of the aftermath of the 2008 financial market collapse and international development. Contrasting In Light of What We Know with The Lies That Bind reveals the strength of each form. The nonfiction personal account of Appiah goes deep into the social science literature. It categorizes. It dissects identity much like a modern team of scientists might describe the various systems (circulatory, skeletal, etc..) in a frog. In Rahman’s story, we feel the mismatch of habitus though narrative. And narrative has so much more emotional power. Near the end of the book, Zafar, the friend of the narrator who has raised himself from poverty, realizes that the reason that his aristocratic fiancé Emily leaves the crust of her pizza on her plate is because it has come into contact with her hands. I read these books in parallel, which were Kwame and Zafar not such strong voices, would have been confusing if not impossible. 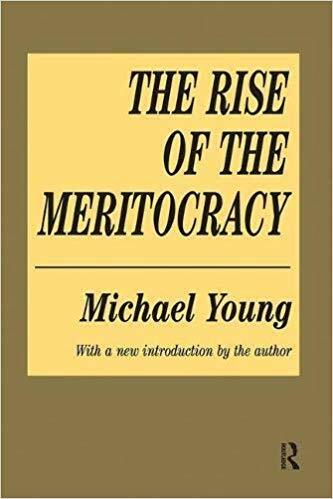 I followed them with The Rise of the Meritocracy sent to me by my friend Joseph Vining, a law professor. For those who do not know this book (I did not which is why Joe sent me a copy), it is a dystopian novel / sociological satire written by Michael Young in 1958. 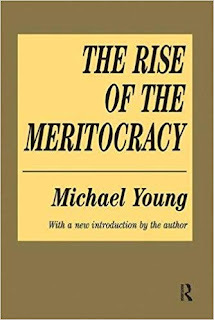 Young, in fact, coined the term meritocracy, which may explain why I was reading the book’s 11th edition. Young describes a meritocratic England from the vantage point of 2034. Appiah’s six C’s, most important among them class, have been replaced by a meritocracy, where IQ + effort determine the school a person attends, his level (among 221!) in a large organization, and his social standing. Young describes the sociological, political, and economic transitions required for this to happen. The first step involves creating a school system that at first provides equal opportunity to everyone, and eventually allocates access based on ability. Unexpectedly (unless one is a sociologist), merit results in even greater tensions across the social strata. When class is based on heredity, the rich know they owe their place to luck of birth and the poor can take solace in the possibility that they might have been successful if only they had more opportunity. In a perfect meritocracy, where standing is earned, those at the top see no need for humility. And, for those at the bottom, if they only had the cognitive ability, they would rise up…. I was amused to learn that Young, who died in 2002, eventually became a Lord, and was lauded for helping the Labour Part to reform the educational system. 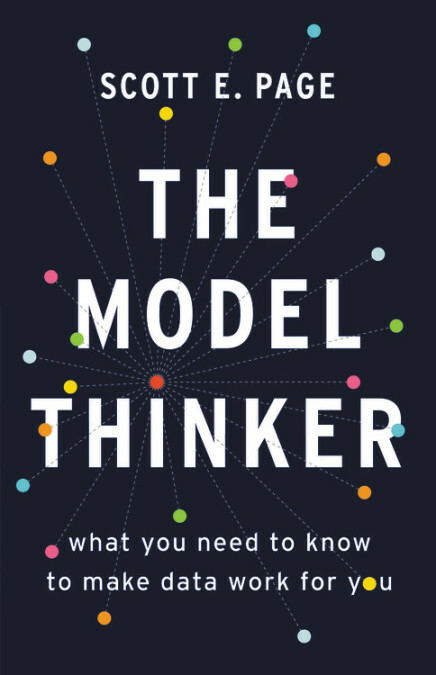 The Page 99 Test: The Model Thinker. 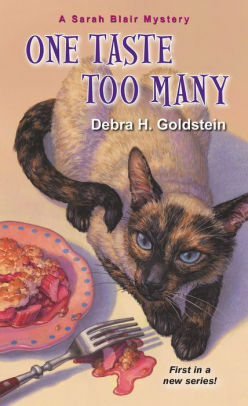 Debra H. Goldstein is the author of Kensington’s new Sarah Blair cozy mystery series, which debuts with One Taste Too Many on December 18, 2018. She also wrote Should Have Played Poker and 2012 IPPY Award winning Maze in Blue. 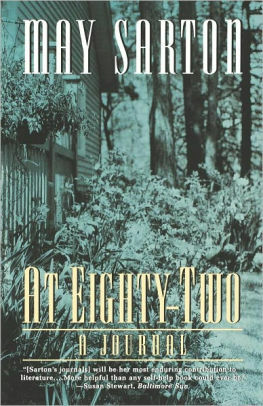 Her short stories, including Anthony and Agatha nominated “The Night They Burned Ms. Dixie’s Place,” have appeared in numerous periodicals and anthologies including Alfred Hitchcock Mystery Magazine, Black Cat Mystery Magazine, and Mystery Weekly. I’m an eclectic reader, but my favorites are mysteries and biographies. Recently, I read Sally Field’s In Pieces, which tells the story of her childhood, acting roles, and relationships. Because of my fascination with the evolution of her acting career from Gidget and The Flying Nun to her Academy and Emmy Award winning roles in Norma Rae, Places in the Heart and Sybil. 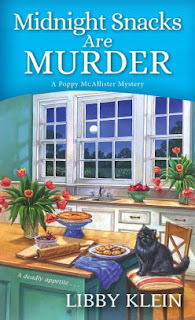 For a more humorous relaxing read, I’m mid-way through Midnight Snacks are Murder, the second Poppy McAllister mystery by Libby Klein. Although I read many literary and mysteries written by well-established authors, I love finding new ones. Libby is one of those. 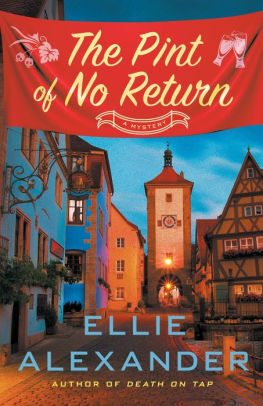 I read her first mystery, Class Reunions are Murder, and immediately ordered the second book before it was released. She writes a book that reads quickly, is well plotted, and is fun – what I try to employ in my own writing. Visit Debra H. Goldstein's website. The Page 69 Test: One Taste Too Many. My Book, The Movie: One Taste Too Many. Bailey's second novel is Into The Night. There has been quite a diverse mix of books on my reading pile recently which I always enjoy. It’s nice to dive into completely different worlds and I certainly feel like I’ve met some characters I won’t forget. I am on a Lynda La Plante binge at the moment because I am lucky enough to be interviewing the master of the police procedural in Australia this February! I love her female protagonist Jane Tennison and it is interesting to read about her navigating her role as a junior police officer in the 1970’s. I love how smart and assertive she is while still being so empathetic. This book, Ng’s second, completely pulled me in. I found it utterly intoxicating. It was structured in an interesting way, with the ending at the beginning but even though you knew what happened, the way Ng teased out why, and managed such a range of wonderful characters, was masterful. 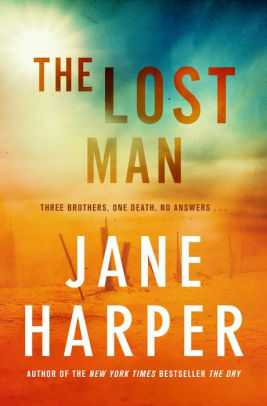 Jane’s third book is a bit different from her other two, it’s more family drama than a crime thriller, but I absolutely loved it. A popular local farmer died in the middle of one of the most isolated parts of Australia. Suicide is suspected, as is accidental death, but as the family gather in their dead brother’s farmhouse it becomes apparent that perhaps something more sinister is at play. It simmers with tension and as a reader you absolutely feel like a fly on the wall, watching the secrets bubble to the surface as the truth is slowly revealed. Set in both Africa and Australia in 2008, this beautiful family drama explores the notion of what it means to be good, and the complexity that comes with trying to navigate another culture. It also looks at the challenges parents face when their children grow up and how much the decisions they make reflect on them. It is a book about responsibility and letting go they but acknowledges that family ties are strong and visceral. 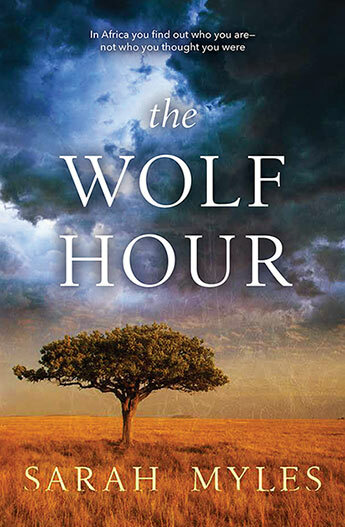 The Wolf Hour tackles complicated and dark issues but they are considered in a clever and nuanced way. 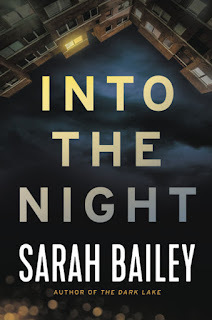 My Book, The Movie: Into the Night. 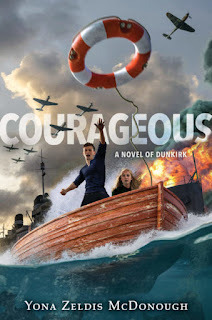 Yona Zeldis McDonough is the author of seven novels and dozens of novels for children. She is also the editor of two essay collections and her short fiction, essays and articles have appeared in numerous national and literary magazines. McDonough is also the fiction editor for Lilith magazine. Her new middle-grade novel is Courageous. 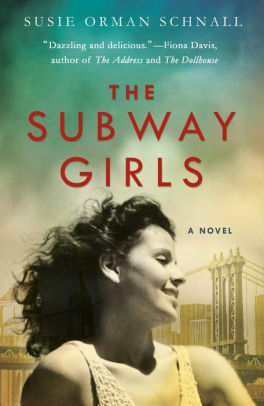 I just started The Subway Girls by Susie Orman Schnall. Part of the novel takes places in 1949, and focuses on the Miss Subways beauty contest, which offered its contestants a shot at a little Park Avenue luster and local fame. I can still remember those seeing those placards for Miss Subways in the1960s and early 1970s and so I was immediately captivated by the subject. 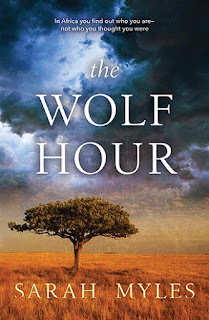 Orman has a natural story telling flair and I’m eager to read more of her novel. Visit Yona Zeldis McDonough's website. Coffee with a Canine: Yona Zeldis McDonough & Willa and Holden. Ellie Alexander (also known as Kate Dyer-Seeley) is a Pacific Northwest native. Her love for the Pacific Northwest runs deep. Hence why all of her books (whether she’s writing as Ellie or Kate) are set there. From the Shakespearean hamlet of Ashland, Oregon to the Bavarian village of Leavenworth, Washington to the hipster mecca of Portland, Oregon and a variety of other stunning outdoor locales, the Pacific Northwest is a backdrop for every book and almost becomes another character in each series. Alexander's new novel, The Pint of No Return, is her second Sloan Krause mystery. It’s officially “reading season” in my house. Wait, who am I kidding? It’s always reading season in my house. I’ll rephrase that. It’s perhaps my favorite reading season. There’s nothing better than lighting a fire and curling up on the couch with a warm drink and a new read. Winter’s blowing winds, torrential rains, and dumping snow call for lazy days lingering over a great book. Because I write multiple mystery series, I try to avoid reading the genre when I’m working on a manuscript. I read anything and everything I can get my hands on, but here are a few of my favorite recent reads. Eleanor Oliphant is Completely Fine by Gail Honeyman. I read this book in a day and then I quickly regretted devouring it. Now, I’m going to have to go back and read it again. Maybe with a glass of wine to remind myself to sip it slowly. 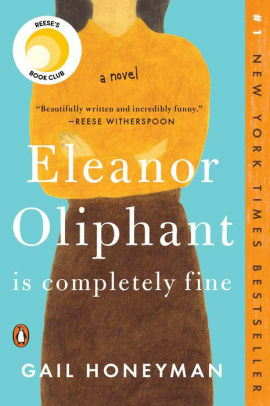 The book follows Eleanor Oliphant on her daily routine working at dead-end job where her co-workers ridicule her awkward social interactions and inability to recognize that most of the time the joke’s on her. This is a book that must be read until the end. 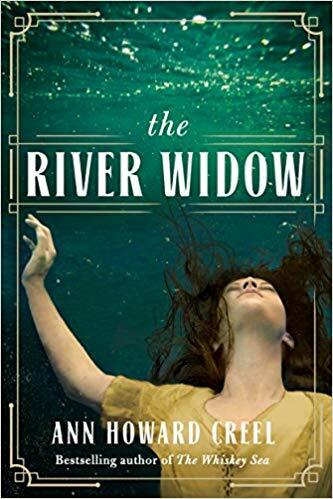 At the beginning of the book I found myself wondering if Eleanor had a social anxiety disorder or was on the autism spectrum, but as her story evolves we learn that her emotional struggles stem from something much deeper. Eleanor’s journey is heartbreakingly sad, and equally uplifting. The Women in the Castle by Jessica Shattuck. I read a lot of historical fiction. As in a lot. I’m drawn to historicals because I think they teach us so much about today. The mistakes we keep making and repeating. The progress forward, and the long, slow slides backward. 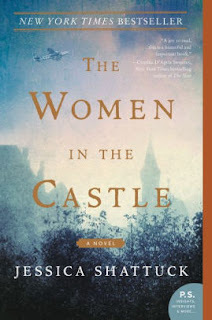 The Women in the Castle is the perfect example of why I think every reading list should include historical fiction. The book is set in Germany at the end of World War II. We follow the struggles of three women trying to survive, to rebuild their lives, and to make sense of what has happened to their homeland. I found myself stopping often while I was reading this book, because I was struck at the many parallels with our current political culture. A thought-provoking and timely read. How To Stop Time by Matt Haig. Part sci-fi, part historical, part romance. I loved everything about this book. Admittedly I’m a sucker for anything involving time travel, so the fact that the main character, Tom Hazard, has been alive for centuries had me hooked from the first line. 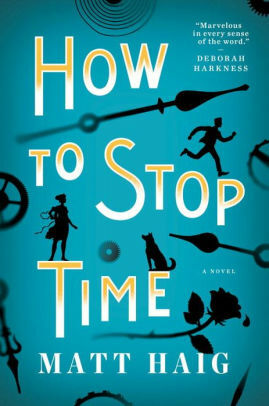 If you read The Time Traveler’s Wife, this is the book for you. Tom may have seen Shakespeare on stage and watched the witch trails in person, but he teaches us that the stretch of time can be long and lonely. The gift of this read is the message that in our quest for the extraordinary we can often lose touch with the fact that the magic is most often in the ordinary. The Page 69 Test: The Pint of No Return. Her new novel is Not Our Kind. 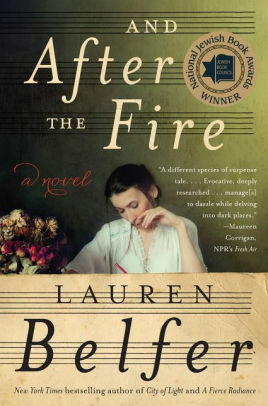 After the Fire by Lauren Belfer. 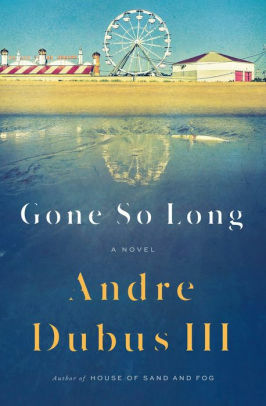 This is a novel that skillfully moves back and forth between the past and present, and has as its center a fictional piece of music written by J.S. Bach. Belfer did extensive research, but the novel is never weighed down by it; instead, it’s woven seamlessly into the prose. As a writer of historical fiction myself, I admire how well she accomplished this, and how the novel seemed so graceful and effortless. Brava Belfer! My Book, The Movie: Not Our Kind. I belong to three book clubs. 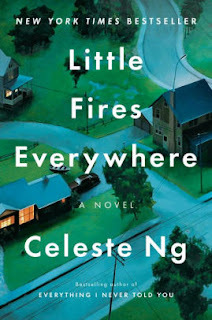 Plus, I review fiction for the New York Journal of Books. Of course I want to read my friends’ newest oeuvres. And I always try to read books about the Holocaust, Poland, and other topics related to my novel The Heirs and also to the new novel I’m working on –- In short, I can hardly remember the book I read two books ago. 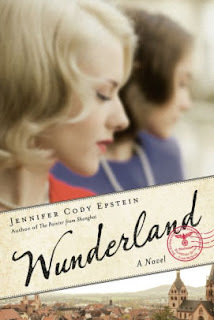 Here’s an advance peek: I’m reviewing a historical novel called Wunderland by the little-known author Jennifer Cody Epstein, coming out in April. I chose it for its Holocaust theme without knowing much about Epstein, and it’s turned out to be a pleasant surprise. As one narrative plunges forward from 1933 Berlin, the other spirals backwards from New York in 1989 to Berlin in 1946, unraveling a daughter’s search to learn about her parents’ Nazi past. On the other hand, I may be the only critic who did not adore Jennifer Egan’s Manhattan Beach. 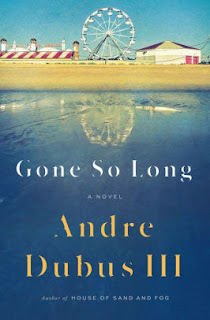 Yes, it was unfair of me to want another A Visit from the Goon Squad (which I did adore), but I found the heroine of this novel to be annoyingly too perfect. 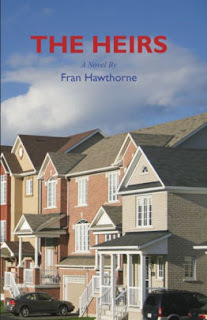 My Book, The Movie: The Heirs. The Page 69 Test: The Heirs. 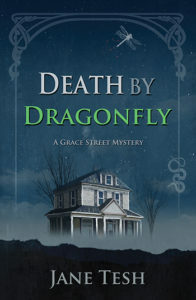 Since publication of her first novel in 1986, Sonja Massie has authored more than 60 published works, including the highly popular and critically acclaimed Savannah Reid Mysteries under the pseudonym G.A. McKevett. 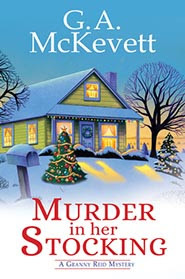 Her new novel is Murder in Her Stocking. At the moment, I’m reading two books, one for entertainment and the other for self-improvement. 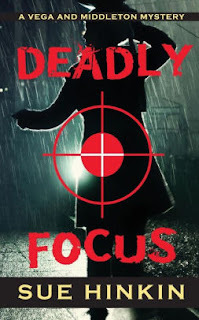 The entertaining one is a novel, Deadly Focus, written by a dear, longtime friend of mine, Sue Hinkin. She has been writing quality fiction for decades, but has only now been published. One of the most determined and dedicated artists I’ve ever known, Sue has inspired everyone in her realm, and we all knew it was simply a matter of time until the world discovered and began to enjoy her writing, as we have for years. I’m so proud of her and happy for her. If you like gritty, suspenseful, fast-paced stories with rich, relatable characters, I highly recommend this book and the others Sue will be releasing soon. 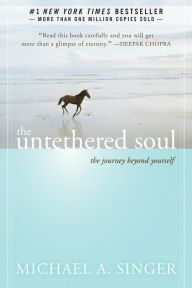 The second book I’m reading, The Untethered Soul by Michael Singer, was recommended to me by another precious friend, Holly Foster Wells, when I was griping to her recently about the “chattering monkeys” raging inside my head. The nasty little beggars refuse to give me a moment’s rest! Lately, I’ve experienced some lifechanging events that require a lot of decision making on my part. As I try to remain cool, calm, and collected, debate the pros and cons of the situation, and figure out which paths to take, these obnoxious critters—whom I’ve named Alarmist Agatha, Downer Delilah, Nervous Nadine, and Furious Frieda—natter back and forth between my ears, driving me to distraction. It’s been quite a challenge, trying to make logical choices with these drama queens screaming their emotional nonsense at me and each other, day and night. I’m halfway through this wise, easy to read, enlightening book, and I do believe it’s changing my life. How lovely it will be when I can learn to ignore these melodramatic ninnies! My Book, The Movie: Murder in Her Stocking. The Page 69 Test: Murder in Her Stocking. I have been living in Ho Chi Minh City (Saigon) for the last couple of months and waited till I got here before reading a few of the classics. Everyone references Graham Greene's The Quiet American, and now I can see why – the rich atmosphere of the city in the 1950s, the brilliant way the book encapsulates so many central themes of the country in the love triangle between the aging Brit Fowler, the brash young American Pyle, and the beautiful local flower Phuong. Complicating all of their lives is the seamy politics of the place and of the day. So much has changed in the city in the more than 60 years since Greene finished the book, but you can still walk up and down Rue Catinat (now called Dong Khoi – Total Revolution), you can still sit on the sidewalk veranda outside the Intercontinental Hotel where Greene and so many of his ex-pat friends hung out, and I'm living an easy walk from the site of the old Da Kao Bridge, where Pyle meets his untimely end. 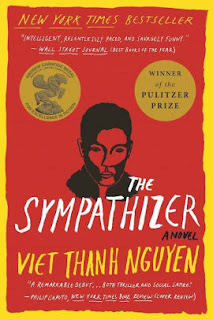 Far more recent is Viet Thanh Nguyen's 2016 Pulitzer Prize-winning novel The Sympathizer, which evokes the Saigon of 1975 especially, as the southern government is crumbling and so many are fleeing the arrival of the Communist forces. 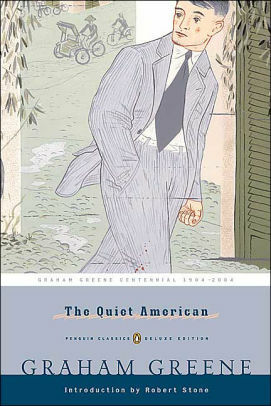 The protagonist is a spy for the North, sent to the United States to keep tabs on potential plotters abroad, and Greene's work is acknowledged in the novel. I can't help wondering if there is also a debt to recent accounts of the most famous spy of the Vietnam war, Pham Xuan An, who worked as a reporter for Time, Reuters and others while feeding information to the North. His story is captured in Larry Berman's 2007 Perfect Spy: The Incredible Double Life of Pham Xuan An. The character of An who emerges from Berman's biography is far more likable than the spy in The Sympathizer. An managed to fool so many people, yet remained friends with them to an incredible degree. As the army he sympathized with came pouring into the city in 1975, An was running around trying to help as many friends as possible – Americans and South Vietnamese – evade the chaos all knew was coming. When George W. Bush visited Vietnam in 2006, An’s son was an official translator, a living symbol of nations getting past the bitterness of war. It's an extraordinary thing to be able to come to a city like this and stay for a while, and read such stirring and complex accounts of what has happened here in the not-so-distant past. 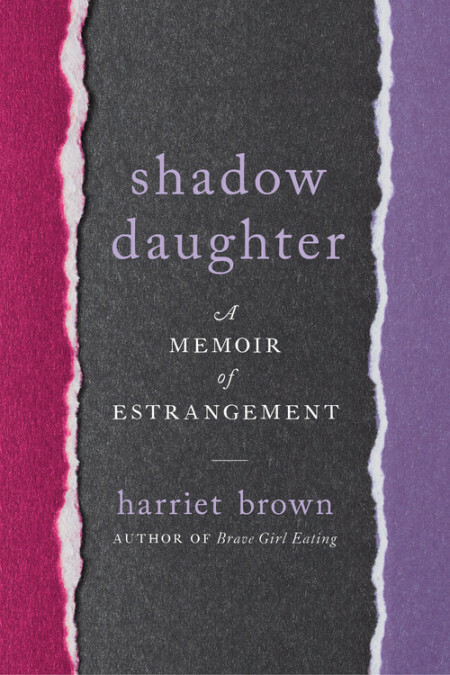 Harriet Brown is the author of Body of Truth and Brave Girl Eating. She has edited two anthologies and has written for the New York Times Magazine, O Magazine, Psychology Today, Prevention, and many other publications. She is a professor of magazine journalism at the S.I. Newhouse School of Public Communications at Syracuse University. 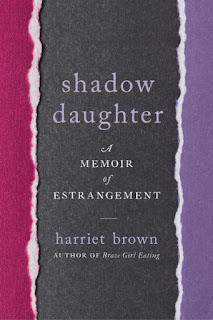 Brown's new book is Shadow Daughter: A Memoir of Estrangement. I’m always reading several books at a time. 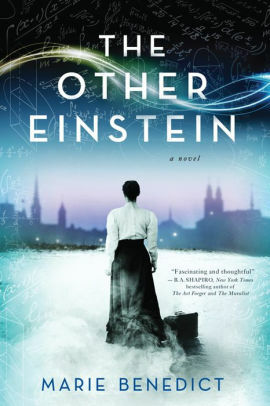 I just finished The Other Einstein, by Marie Benedict, a work of historical fiction about Albert Einstein’s first wife, Mitza Maric. She was a brilliant physicist and mathematician who was completely overshadowed by her famous husband. She contributed a lot to Einstein’s work, especially the theory of relativity; some suggest it was actually her theory. We’ll never know for sure. But what we do know is that Mitza gave up her own chance at a career to support her husband’s, and he repaid her by having an affair with his cousin and ultimately divorcing Mitza. 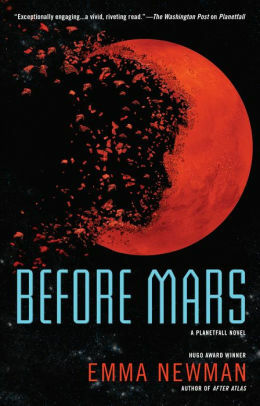 As a non-physics person I love the science in this book as well as the history and the human drama. I’m also reading At Eighty-Two by May Sarton, a Belgian-born poet, fiction writer, and journal keeper; this was her last journal published before her death in 1995. Sarton writes about the tension between art and life. She writes of the creative gifts of solitude and the frustrations of growing old and infirm. She writes beautifully about what it’s like to be human, and a woman, and alive. I’ve been reading her work since I was 20, and have returned to it again and again throughout my own life and career.